Baby bib overalls and hat. 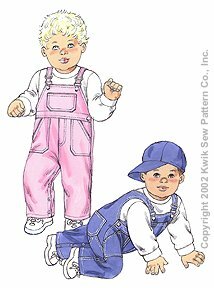 The overalls have a fake fly, patch pockets on the front, back, and bib, shoulder straps with buckles, side openings with a button closure, and snaps on the inside legs. The five-panel hat has a brim and elastic in the back. 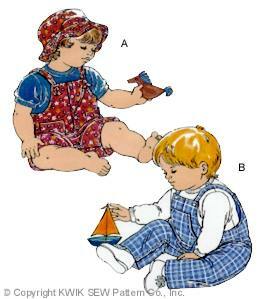 The Baby Overalls & Hat are designed for medium weight woven fabrics. We suggest cotton, cotton types, twill, chino, linen, lightweight denim or baby corduroy. 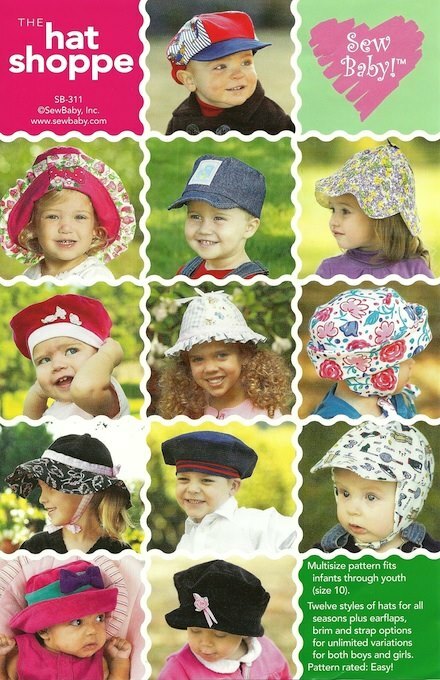 Baby sizes Small - XLarge included in this pattern.